Every business has to deal with dissatisfied customers at some point so we’ve got an easy process for handling customer complaints that will boost customer satisfaction and increase customer loyalty. Customer complaints can arise from a number of different situations and no business that I’ve come across is immune to things going wrong. The best businesses have strategies in place for dealing with customer complaints and turn dissatisfied customers into not only satisfied customers but also advocates for their business. And getting the customer experience right has never been more important with customer experience now the new battlefield to win and retain customers. It is critical that every business has a strategy in place for dealing with customer complaints and ensure they are handled effectively and customer satisfaction is restored before it does any irreparable damage. The customer is concerned and they want to express it. Let them explain their issue to you and listen so that you understand completely. If you dont understand the problem you cannot effectively solve it. Put yourself in the customers shoes. Empathise with their situation and ask questions to gather any additional information you need to be able to offer a suitable solution. The customer could have walked away and spread their negative experience, instead theyre giving you the opportunity to turn them into a satisfied customer. Thank them for that opportunity. Work with the customer to negotiate a solution to their issue. By involving the customer in shaping the solution they will be much more accepting of it. Once you and the customer have agreed upon a solution make sure it is delivered, and delivered in the shortest timeframe possible. If you dont deliver swiftly you will undo all the good work you have done thus far. Set a mechanism to prompt a follow up with the customer within an appropriate timeframe to ensure that the customer is satisfied with the outcome and there is no lingering issue. 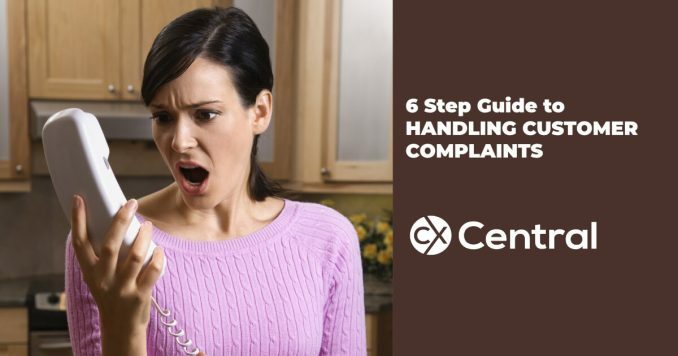 By crafting a customer complaints strategy for dealing with customer complaints around these 6 steps you will effectively deal with customer issues resulting in higher customer loyalty, increased customer revenue and improved profits. Search: Learn from the experts – search for upcoming courses and conferences.